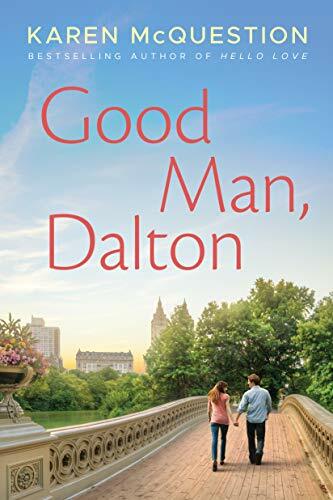 A chance encounter leads to an unpredictable Manhattan romance in an irresistible and heartwarming novel from the author of Hello Love. Greta Hansen has arrived in Manhattan to intern with the Vanderhaven Corporation, a company owned by distant and very wealthy relatives. But she soon realizes she’s actually been hired to keep watch on their capricious daughter, social media celebrity Cece. No last name required. Why bother? The entire Twitterverse already watches every fabulous move she makes. Including an unfortunate shoplifting mishap when Cece decides to go off script. It’s then that a handsome—and homeless—stranger comes to the rescue. Dalton Bishop has a secret. A man of privilege, he’s been living on the streets as a social experiment. Now, in gracious payback for his chivalry, Cece invites him to an elegant fund-raiser called the Forgotten Man Ball. It’s Greta he’s taken with, however—and to Greta’s surprise, she’s taken right back. But Dalton has one more secret up his tattered sleeve. For right now, though, he’s just happy embracing the woman of his dreams. It’s only the beginning of a romantic and revealing adventure that will take them to a place where money, class, and fame matter far less than true love.